Chase the vision, not the money; the money will end up following you and so did the founder of WiFiStudy. Problems involving the financial issues, unaffordable coaching, transportations, room rents, with every student, have made the idea to provide digital education to each and every aspirant eventually come into existence. Ideas are easy, but it’s the execution of ideas that really makes you cynosure. WiFiStudy recently commemorated its 2nd successful year. It took nearly 3 years for him to create a model which he concretely wanted. The bucks do not really solve the issues and obstacles but passion does. The man behind this iconic startup is Mr. Dinesh Godara (Founder & CEO) – The man with a pollyanna attitude. He burnt the midnight oil to impart education in “No Need To Go Anywhere” manner to the youngsters of the nation. Many of his educational portals failed in the beginning and then finally, WiFiStudy – Changing The Way of Learning, came into existence with a passionate 70+ employees’ team. Every employee works as a co-founder of the company and it’s all because of the magnetic personality of Mr. Godara. One of the best things of the company is that every employee has a direct approach to the boss which is really very rare. For the initial funding to invest in WiFiStudy, he worked on some freelancing projects. The portal started in the year 2013 in a tier 2 city, Jaipur with an aim to deliver quality education to the students in India who prepare for competitive exams. Utilizing the idea to change the way of learning, WiFiStudy was launched with a positive feedback from the users. Mr. Godara perceived its competency and determined to make something valuable out of it. Obtaining venture capital is an inevitable requirement for a startup today, but this moment was an exception. Today the company flourished and set up an office in Delhi, which further aided the business. 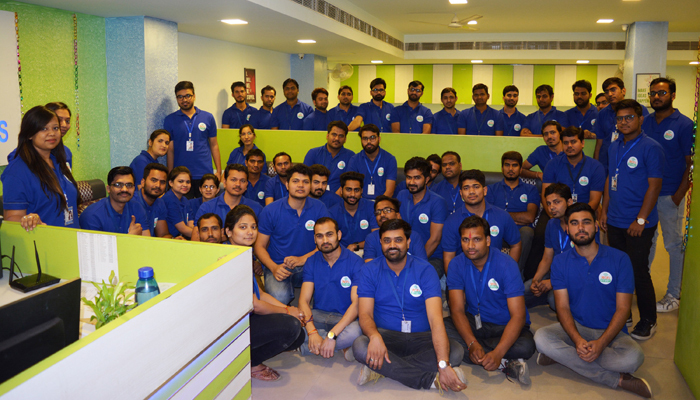 With the startup taking off, Mr. Godara, with his efficient team kicked off several mobile applications including Vocab24 and GK24 with 2 million and a half million users respectively to diversify the reach of the business. Through this effort, English-learning and being a dab hand in General Knowledge has been effortless. These apps helped to increase the value of the venture which started its operations without any venture capital. Students across the country started recognizing the brand and using its services. As the demand for online preparation grew, WiFiStudy began video solutions, online test series, live classes and doubt solving sessions to make a profit in terms of money and users as well. The educational services for competitive examinations are beneficial for both who can afford and for those who can’t. WiFiStudy YouTube channel is their key feature utilizing the technology for providing free education to its full potential. Startup imparts back to back live classes for SSC and banking exams on daily basis for more than 700K subscribers. Through the exponential growth, they intend to cross 1M Subscribers by the 1st week of March 2018 and are now ranked among top 5 e-learning platforms in India. Also Read: Who’s Financial Advisor? How to choose a best Financial Planner? WiFiStudy is now striving to enhance its reach to each and every student in India by becoming a market leader. Till the end of this year, the company will surely have 2 million YouTube subscribers. It is all set to begin UPSC and Regional PSCs courses so that aspirants can step into civil services. The company will predominantly focus on end-user reachability and their untold benefits. It also visualizes that the students will move to learn through smartphones rather than sitting in a class in front of a blackboard. There would be no limitations on learning and the students can sort out their queries without any hesitation. Next Next post: Smoking Kills!! Physically and Financially… What Category Are You?